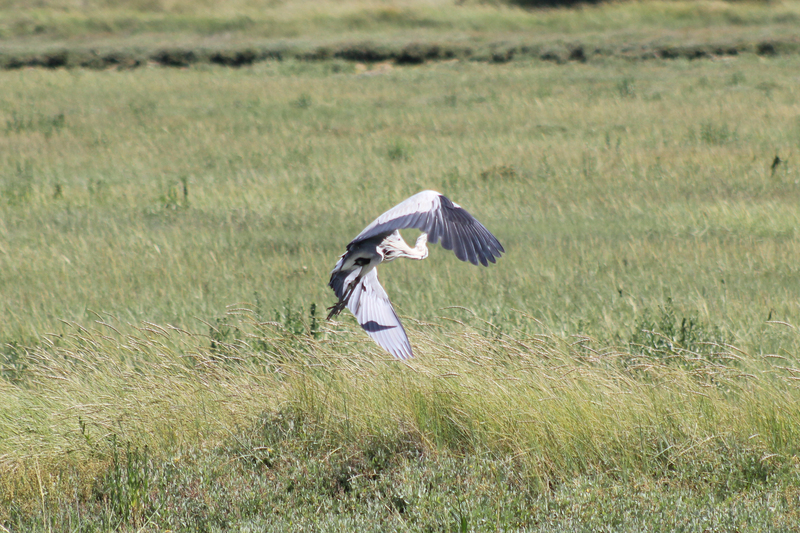 We saw a lot of wildlife as we walked around the second half of Pagham Harbour. 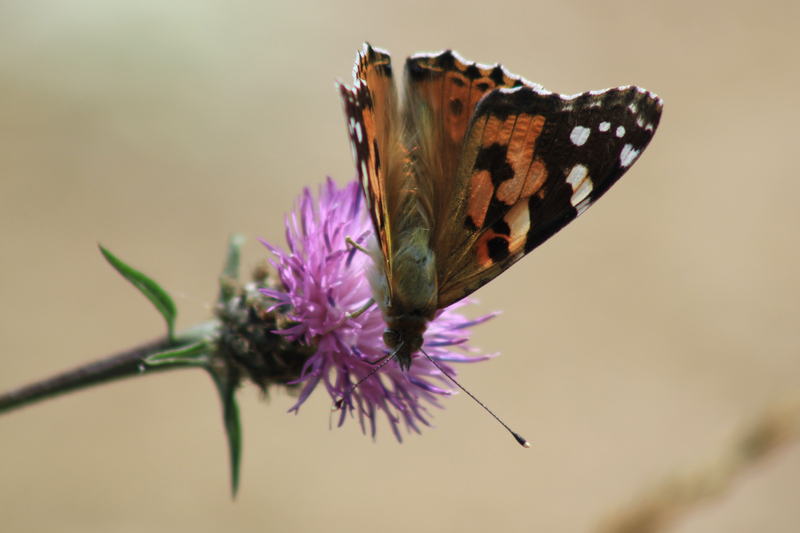 To start with, there was this chap, a Painted Lady. See how his tongue is buried inside the thistle? I spent a fair few minutes engrossed in taking this and a few other shots. I finally finished and glanced up. Not only were the rest of the Coastal Clan waiting patiently behind me; there were a couple in front standing a respectful 50 yards away, waiting for me to finish my work. I flushed a Painted Lady deep salmon pink as I thanked everyone for their patience. 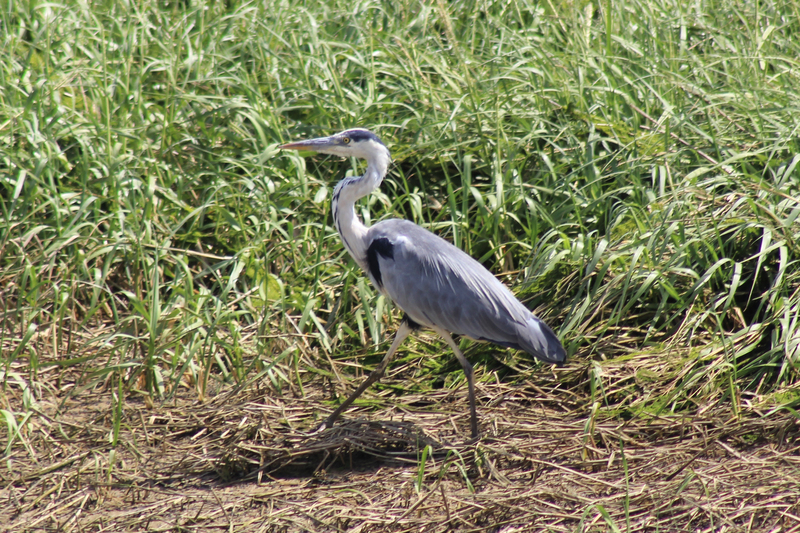 We also saw this chap, a grey heron. He studied us from the opposite bank as we studied him. He got bored of us before we got bored of him. He crouched and then leaped, heaving himself upwards with a great billow of his wings, catching his own shadow in their span. The wildlife was not the only beauty here. 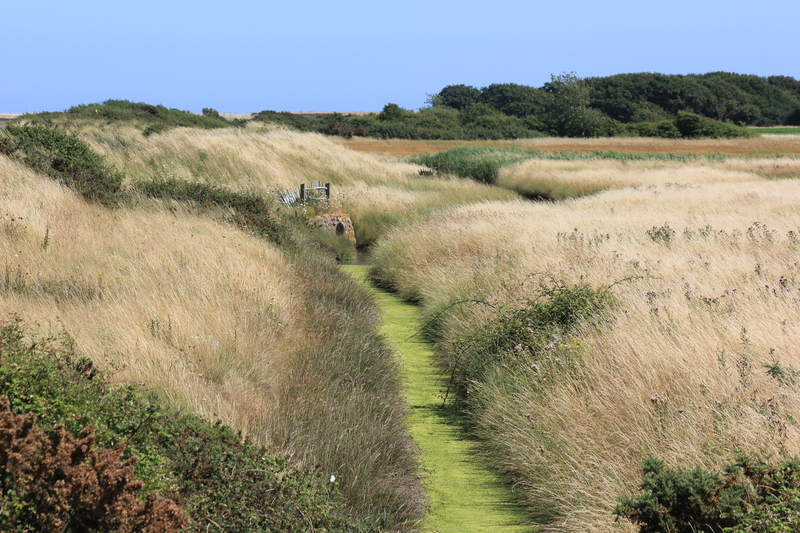 The landscape of varied colours exuded a peace that was only rarely broken by other walkers. The green of the fields was almost biscuit-baked by the sun into a warm golden brown. Eventually, we made it back to the coast. 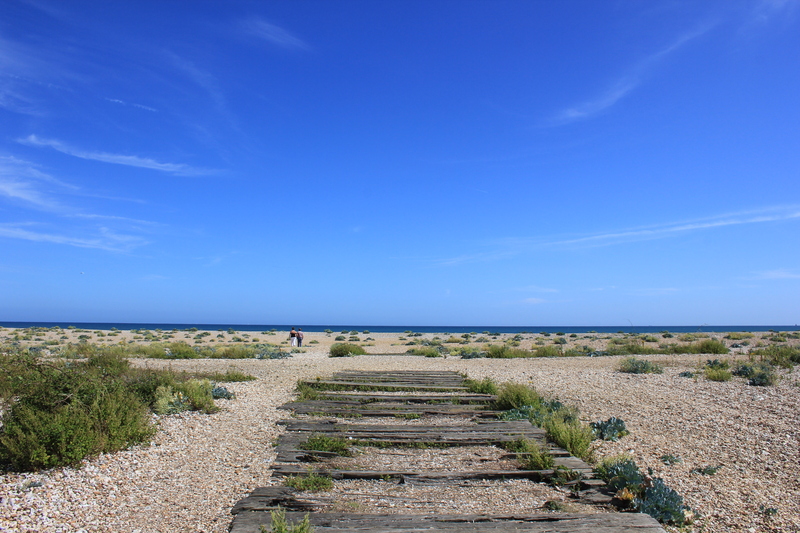 We had enjoyed our detour around Pagham Harbour but it was time to turn west again and continue our Coastal Path. 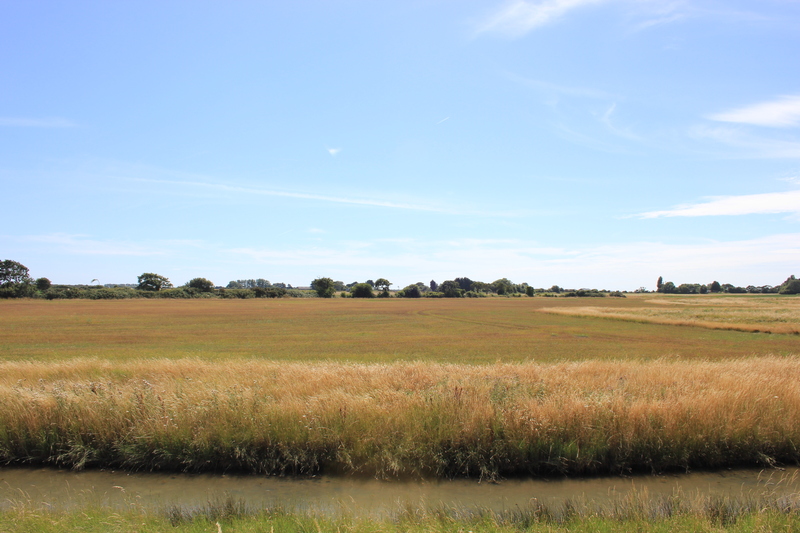 This entry was posted in West Sussex and tagged butterfly, coast, grey heron, nature, pagham harbour, painted lady, travel, walking, west sussex, wildlife. Bookmark the permalink. You obviously don’t have that problem – your pictures are great!